MISSION: POSSIBLE. 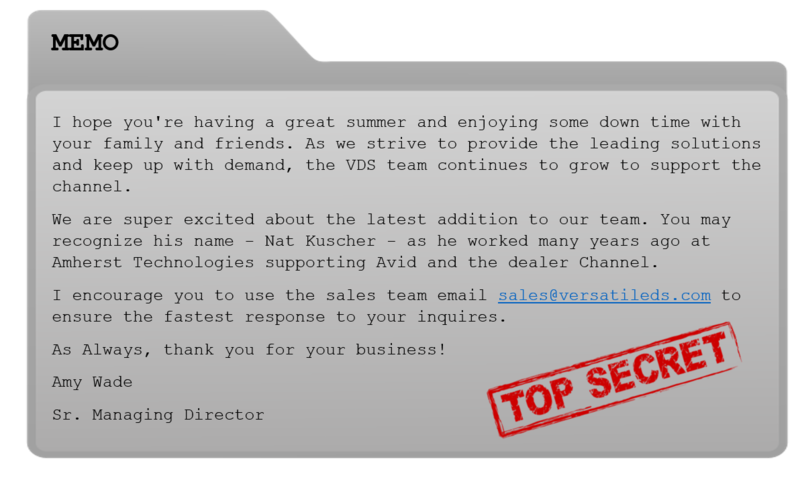 Meet Your VDS Sales Agents! At VDS, we make what's impossible - POSSIBLE! Our team can take on any challenge and are always willing to help you find the right solution to meet your client's needs.